and for boxed beverages, a plurality of selectable identifying apertures are provided so that the user can personally distinguish his or her beverage from those of others. This patent applies to the $490 Million U.S. Dollar disposable cup lid market. 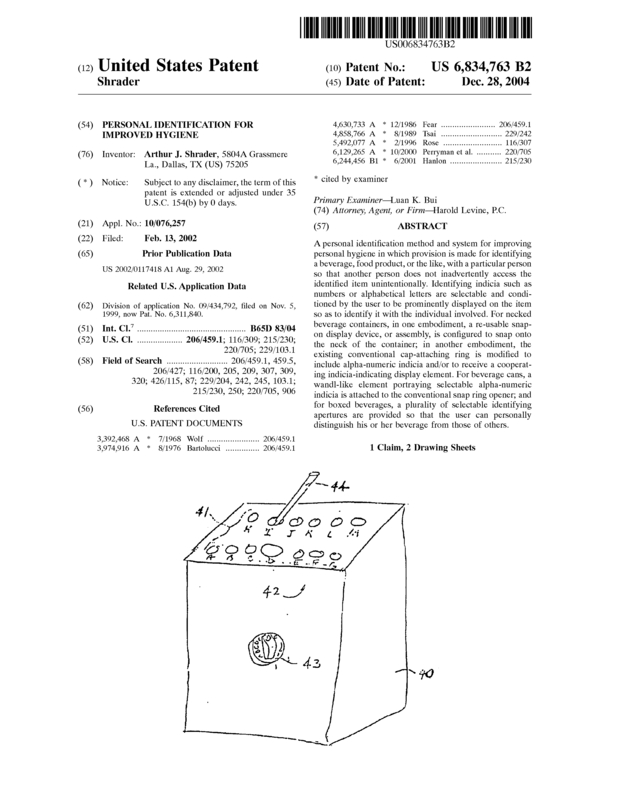 Page created at 2019-04-23 6:22:24, Patent Auction Time.